White Hills is an unincorporated community in Mohave County, Arizona, United States. The White Hills form the eastern boundary of the Detrital Valley along U.S. Highway 93 in northwestern Arizona. From some locations that are views of of Mt Charleston in Las Vegas. White Hills, Arizona located in Mohave County, at the Northwest corner of Arizona, is a growing desert community. It is located about 30 miles South of Hoover Dam. It is a relaxing beautiful place to live. 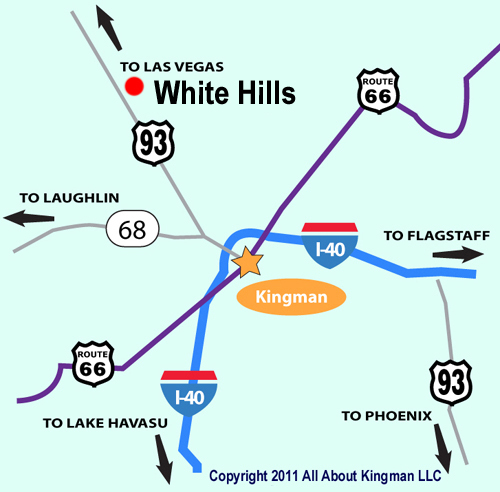 White Hills, Arizona located in Mohave County, at the Northwest corner of Arizona, is a rapidly growing community. It is located off Arizona State Highway 93 on the east side, about 30 miles South of Hoover Dam. A former mining town of 400 people, many of the residents of this small community are retired. There is also a growing population of people who work in Las Vegas or Laughlin, Nevada and Kingman, AZ. There is a lot of distance between gas station in this part of the country. Here is a welcome site! This area is great for horses be they animal or motor such as 4-wheeling and ATVs. There are endless trails and riding areas for the equine enthusiast. There is plenty of room to explore. White Hills is considered a true Ghost Town of Mohave County. Originally founded as a silver mining town in 1892, White Hills Arizona has around 400 people with many of the residents retired. A mild winter makes this a great snowbird retirement location. 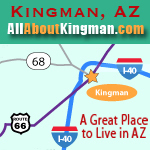 There is also a growing population of people who work in Las Vegas or Laughlin, Nevada and Kingman, AZ. This pristine desert landscape is a beautiful tapestry of red rocks, Joshua trees and cactus ranges nestled between mountains, meadows and pastures. There is the beauty of the desert with Joshua trees, mesquite, bush muley, Indian rice, and two wild grasses favored by the longhorn cattle that run here, often on open range. Panoramic views capture the essence and power of enough natural beauty to take your breath away. Outdoors people love it, as do photographers. 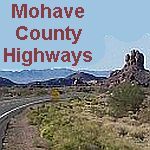 Mohave County contains part of the Grand Canyon National Park. The Colorado River forms the western boundary of Mohave County with an estimated 1,000 miles of fresh water shoreline plus Lake Mead and Lake Mohave for boating and fishing. Nearby Lake Mead is the largest man-made reservoir in America. Visitors accessing the lake from Temple Bar enjoy easy access to hundreds of coves and beaches along Mead's vast shoreline. Temple Bar is a year-round area for the whole family with comfortable rooms, cabins, RV sites, campground, store, restaurant, lounge, and marina. At Lake Mead you'll find world-class bass fishing, long southwestern summers and endless smooth waters for skiing, boarding and swimming. The Lake Mead Recreation area gives you access to thousands of acres of pristine land for horse riding, hiking and more. Wild horses have even been photographed roaming the area. Encompassing 1.5 million acres, Lake Mead National Recreation Area features two large reservoirs, Lake Mead and Lake Mohave, which are fed from the Colorado River and created as a result of the Hoover Dam and Davis Dam. Lake Mead covers approximately 247 square miles. While White Hills was a ghost town and is now a growing community, the new development of White Hills, Arizona is the vision of Nevada developers, Leonard and Susan Mardian, who have been laying the groundwork with their approximately 25,000 acre master plan community, The Ranch at White Hills. The entire land holdings have a total of 61,250 acres to develop.